The question of climatic change is perhaps the most complex and controversial in the entire science of meteorology. No strict criteria exist on how many dry years should occur to justify the use of the words “climatic change”. There is no unanimous opinion and agreement among climatologists on the definition of the term climate, let alone climatic change, climatic trend or fluctuation. In both public and scientific discourse the notions of climate and climate change are often loosely employed, and it remains unclear what exactly is understood by them. This unclarity is problematic because it may lead to considerable confusion regarding the existence and extent of global warming, for example. How to define climate and climate change is conceptually interesting, but choosing good definitions is also important for being able to make true statements about our climate system. 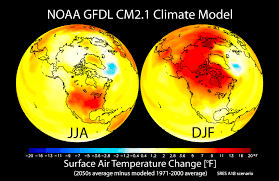 As we will see, adopting definitions with serious problems may imply that the climate has nothing to do with the actual properties of the climate system, that different climates are not correctly classified or that there is no relation to observational records such as past mean surface temperature values. Of course, different definitions of climate and climate change are discussed in the climate science literature. However, what is missing is a clear and thorough conceptual analysis of the different definitions and their benefits and problems. Commonly, definitions of climate are endorsed where the external conditions (i.e. what is not described by the climate variables such as solar radiation) are assumed to be constant. Because of the constant external conditions, one is in the realm of classical autonomous dynamical systems theory, and this theory has been widely used to mathematically analyse these definitions of climate (e.g. Lorenz, 1995). However, in 25 reality the external conditions vary. For example, the radiation of the sun fluctuates over decades; and there are also fluctuations over short time scales such as seasonality (i.e. the seasonal variation of the solar forcing). Taking this into account leads to different definitions of climate. In particular, the recently developed theory of non-autonomous dynamical systems is needed to mathematically analyse them. Yet only rarely is this theory applied to analyse the notion of climate. Also, there is little discussion of the differences and similarities between the definitions for constant and varying external conditions in the climate science literature. This paper aims to contribute to fill these gaps. First, autonomous and nonautonomous dynamical systems will be introduced. There are two main kinds of definitions of climate discussed in the literature: distributions over time and ensemble distributions of the possible states of the climate variables. Commonly, versions of these definitions are endorsed where the external conditions are held constant, and these definitions will be first presented. Then possible analogous definitions for varying external conditions will be explored with help of non-autonomous dynamical systems theory, and the differences and similarities between the cases of constant and varying external conditions will be discussed. The various definitions will be assessed, and it will be argued that there are definitions for varying external conditions which are preferable to the definitions for constant external conditions. In this context, a novel definition of climate which has not been explicitly discussed in the literature will be proposed (climate as the distribution over time for a regime of varying external conditions), which will be argued to be a promising definition. Finally, the conclusion will summarize the findings.